In the last part of this seminar, I will provide a live demonstration of launching MEEP simulations on an on-demand high-performance computing (HPC) cluster in the cloud through our startup, Simpetus. Simpetus provides a holistic solution to the three main challenges of using simulations for research and development: 1) no software licenses or installation; 2) no hardware acquisition or maintenance; and 3) technical support from the experts. The mission of Simpetus is to propel computational simulations to the forefront of photonics research and development. 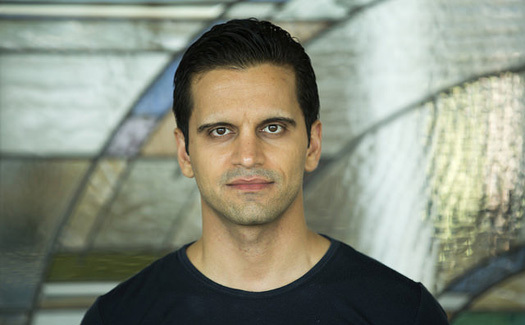 Ardavan Oskooi is the Founder and CEO of Simpetus, a San Francisco-based startup offering a complete, on-demand photonics simulation platform with a mission to propel computational simulations to the forefront of photonics research and development. Ardavan received his Sc.D. from MIT where he worked with Professors Steven G. Johnson and John D. Joannopoulos (thesis: Computation & Design for Nanophotonics) to develop MEEP (ab-initio.mit.edu/meep). Ardavan has published 13 first-author articles in peer-reviewed journals and a book “Advances in FDTD Computational Electrodynamics: Photonics and Nanotechnology” with Professors Allen Taflove of Northwestern University and Steven G. Johnson. He has a masters in Computation for Design and Optimization from MIT and completed his undergraduate studies, with honors, in Engineering Science at the University of Toronto. Prior to launching Simpetus, Ardavan worked with Professors Susumu Noda at Kyoto University and Stephen R. Forrest at the University of Michigan on leveraging MEEP to push the frontier of optoelectronic device design.